ast month a new Twitter hashtag surfaced: #Readwomen2014. 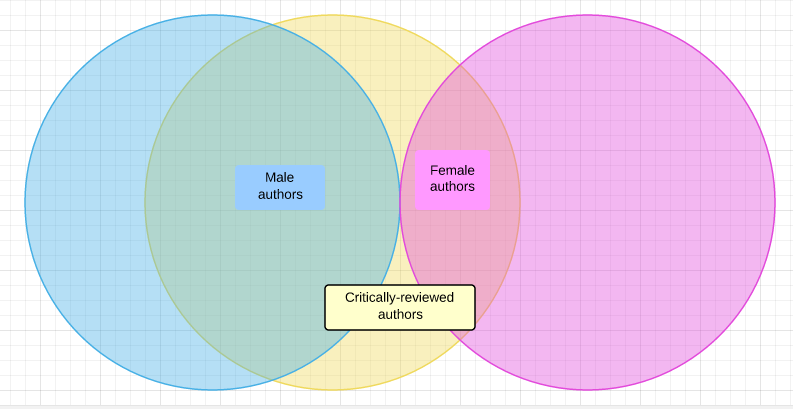 It aims to change the inequitable treatment of male and female authors by the literary establishment — i.e., critical reviewers who historically published in print. Think New York Times, New York Review of Books, New Yorker, the Atlantic. As a female author, I can’t argue against being read. But I think there’s a flaw in the rationale behind the hashtag’s campaign. Implicit in the goal is acceptance of the notion that, in fact, these establishment publications still ARE the rightful, respected critics of the literary world. If it is a hidebound, good-ol’-boys club, deaf and blind to half the author population, why cede those claims? (In a similar vein, I always wondered why feminists so badly wanted to wear the green jacket at sexist Augusta National.) Especially today, when reader reviews offer authors an alternative that (here’s where I crawl out onto the literary limb) can be — not is, but can be, especially on a collective basis — as valuable an endorsement as a critical review. This is on my mind due to two coincidences. First, I learned of the readwomen hashtag this week, just as I got my 100th reader review (combined, on Amazon and Goodreads). In politics, the 100-day period is considered a crucible for the politician, a bellwether for her or his future. If readers are powerful — and it’s worth noting that it’s readers, not literary reviewers, who will fill the seats June 6, when Fault hits the big screen — 100 reader reviews is a benchmark I am hereby co-opting. Back to #readwomen2014. Yes, do. Read them every year. But more importantly, read without regard for who you “should.” Read self-published. Read traditionally published. Read literary fiction, genre fiction, nonfiction, poetry. Read widely, abundantly, voraciously. What do you think? As readers, are critical or reader reviews more meaningful to you? Do you write reviews of the books you read? – The letter “L” brought to you by Daily Drop Cap. ** For the sake of argument, I admittedly oversimplify here. A lack of critical reviews can be a significant impediment to getting into libraries, for instance. 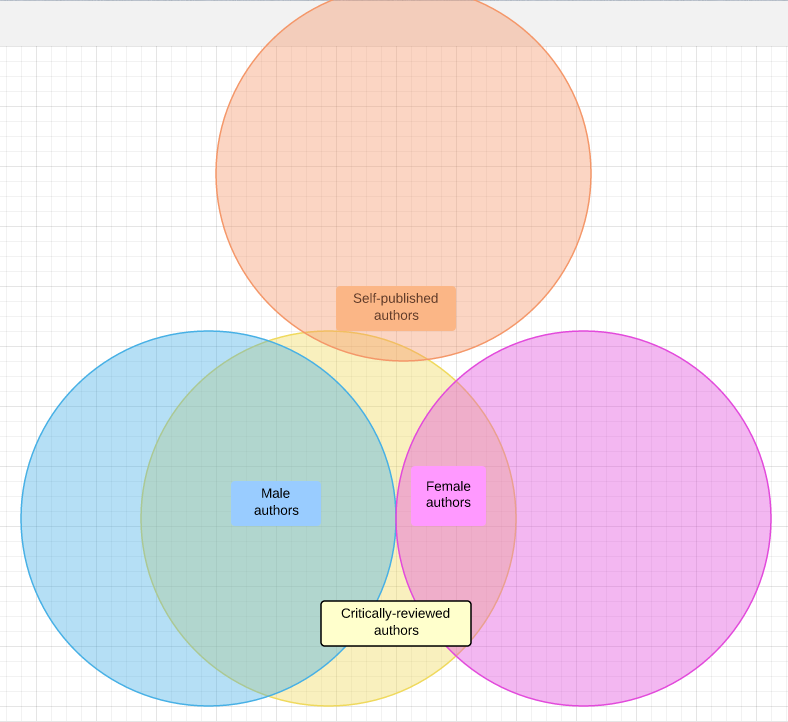 However, Vida, the organization lobbying for more female authors to be critically reviewed, doesn’t even include the American Library Association’s Booklist or Library Journal among the “most respected” journals they’ve set their sights on. Nor do they include Kirkus or Publishers Weekly, the flagship trade journals of the publishing industry. Frankly, in the immortal words of Mo Willems’ Gerald, I just want to be read. Libraries, Kirkus and PW offer a lot more access to readers than the Atlantic, the Paris Review and the New Yorker. So again, I question the value of the target.